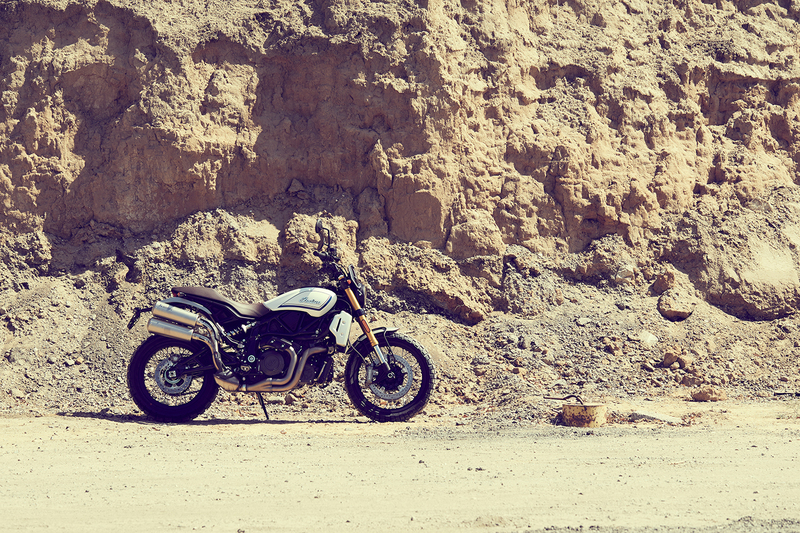 Indian is giving riders a chance to add a little more personality to the FTR 1200. 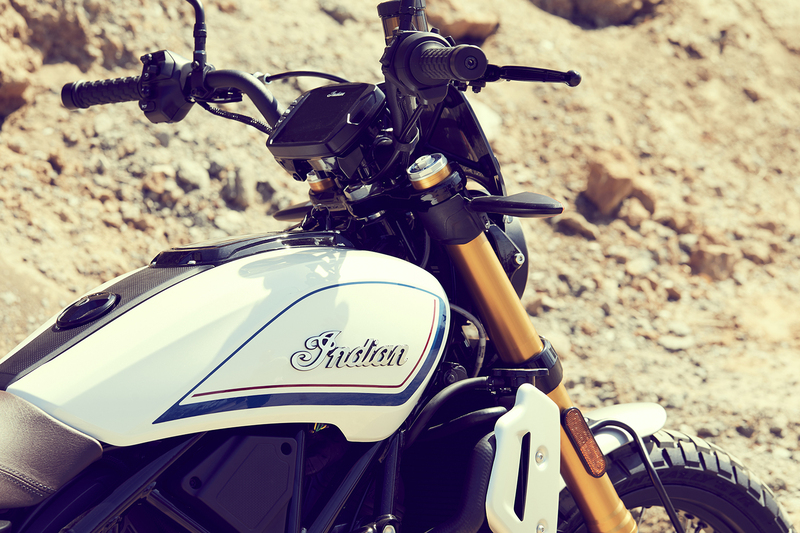 The production version of the Indian FTR 1200 made its live debut at Intermot in early October. 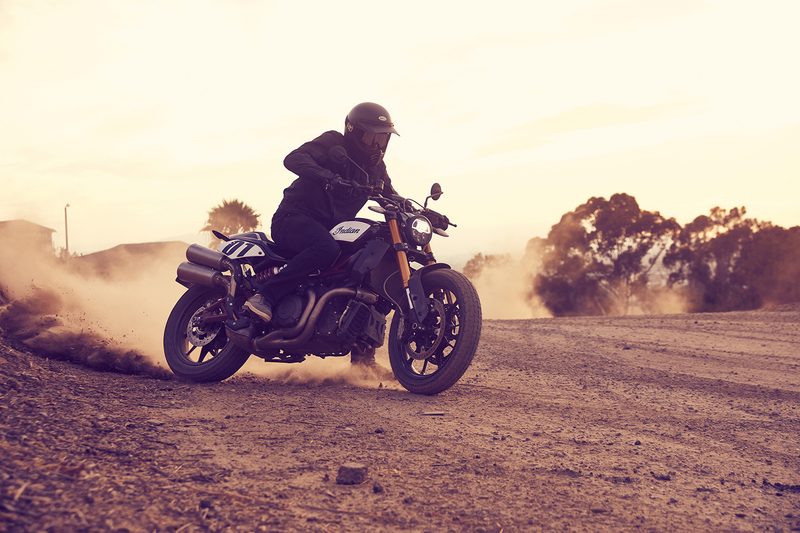 Now, at the EICMA motorcycle show, we’re seeing several accessory kits for the first time that will be available for the flat track-inspired roadster. 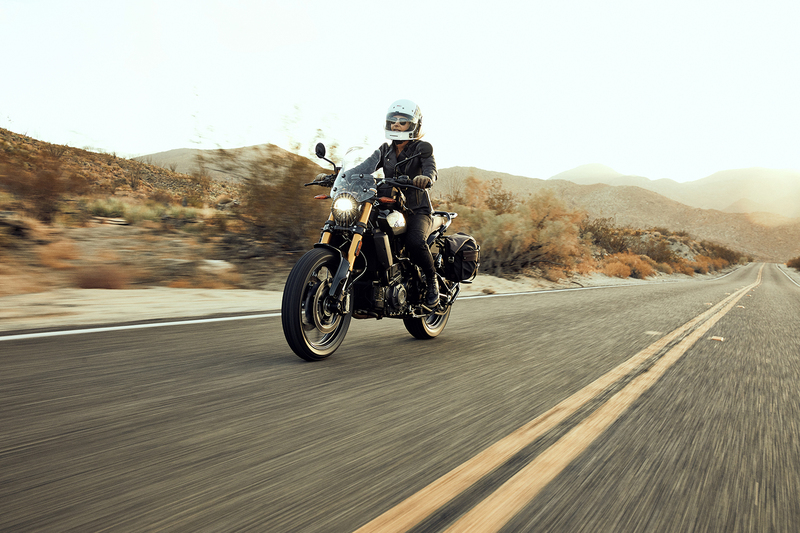 These “collections,” as Indian is calling them, will come in four distinct flavors: Tracker, Rally, Sport, and Tour. 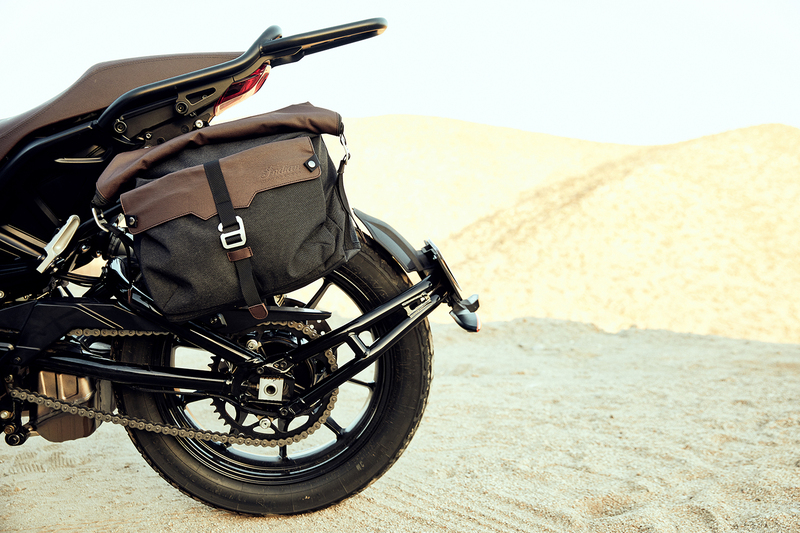 The Tracker collection takes an already flat track-inspired bike and makes it more, well, "flat tracky." 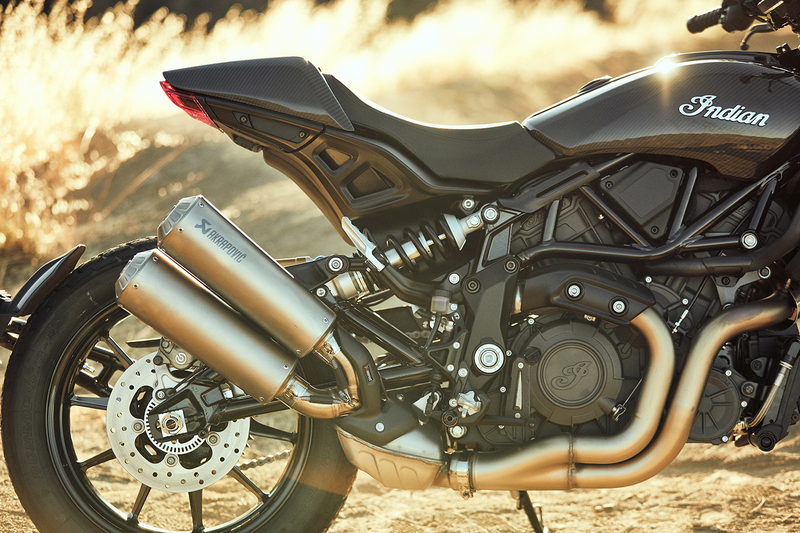 It retains the available Race Replica paint job available on the FTR 1200 S but adds a number plate and the tall Akrapovic exhaust which reminds us of the system found on the FTR1200 Custom concept. 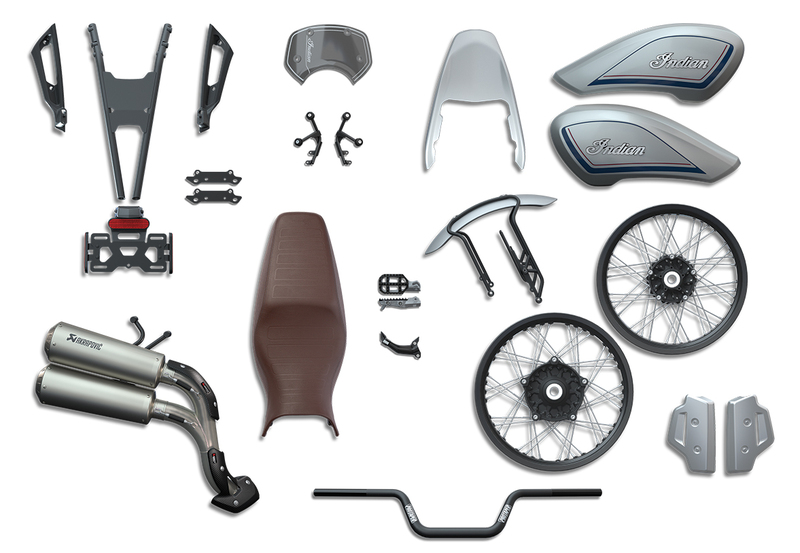 Other changes include clear turn signal lenses, rally foot pegs, a high license plate mount, a revised seat, and special grips. 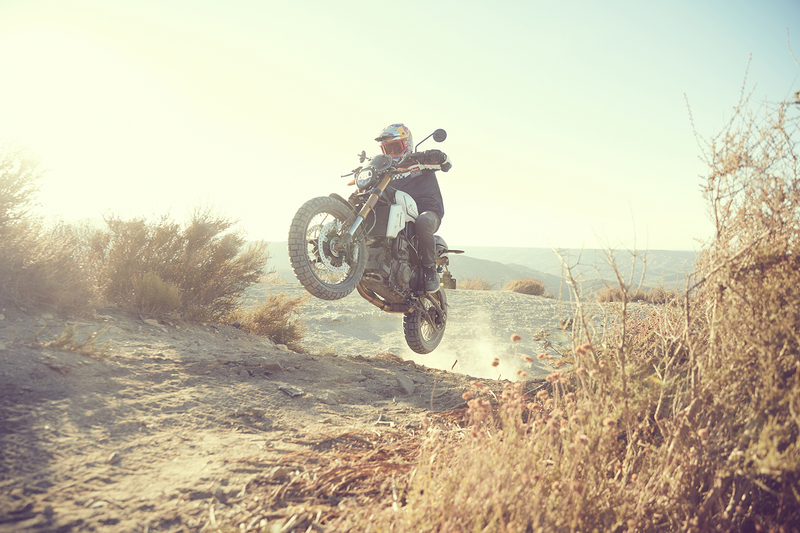 The Rally collection pushes the off-roading nature of the FTR 1200 a little farther with aluminum radiator guards, aluminum spoke wheels, a rally-style front mudguard, a rear mudguard, a flyscreen, a Protaper rally handlebar, foot pegs, and high exhaust and license plate mount similar to the ones on the Tracker collection. You also get an “aviator seat” and white tank covers with cool red and blue stripes. 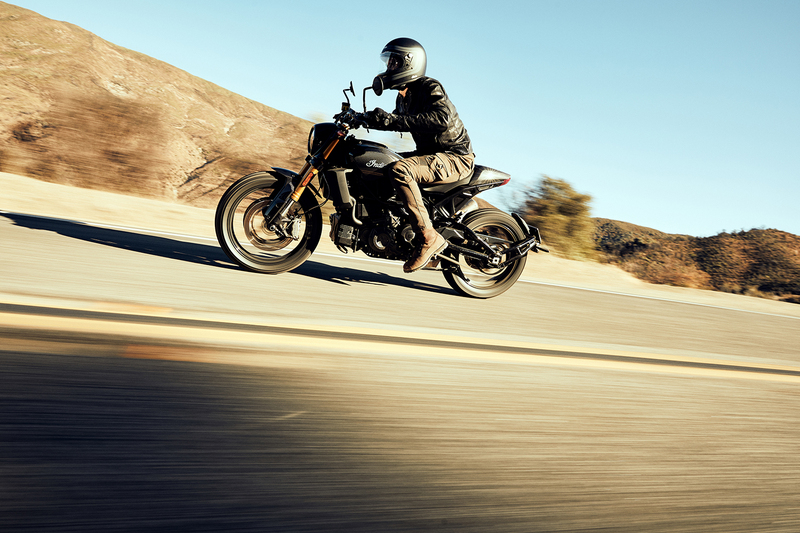 The Sport collection puts emphasis on on-road performance. 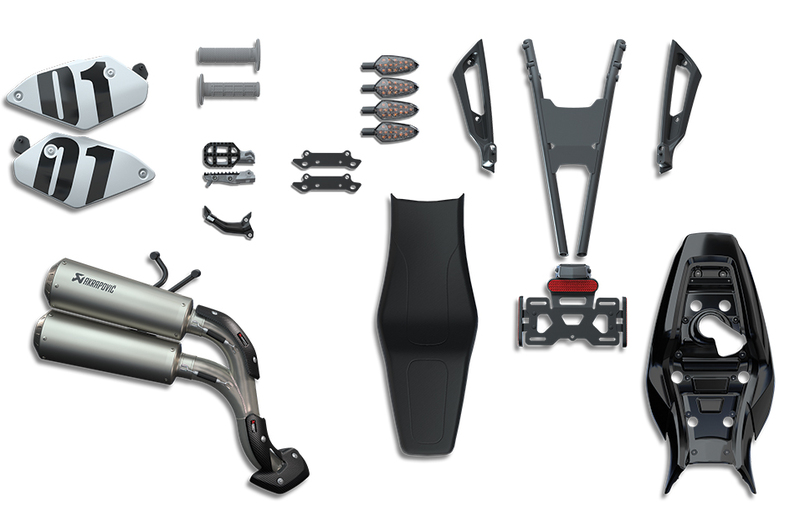 This is the mildest upgrade of the bunch, as it adds an Akrapovic exhaust and carbon fiber bits which include tank covers, front fender, and a cowl over the passenger seat. 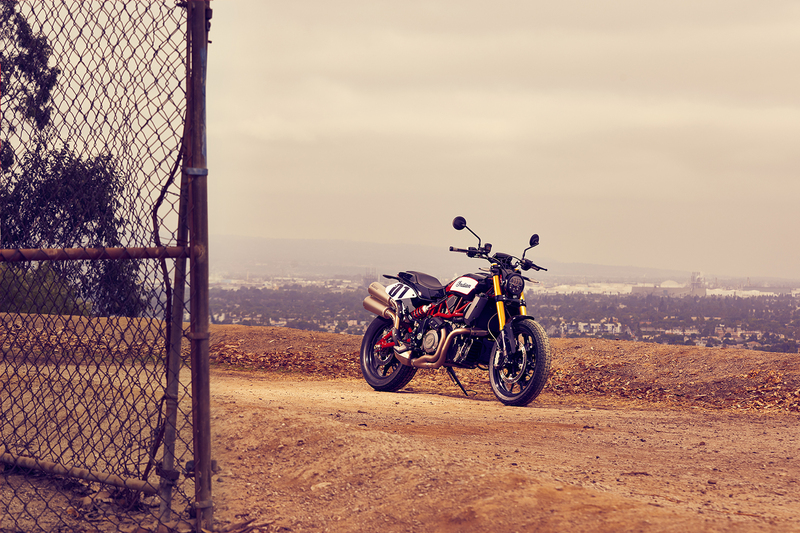 It looks cool but isn’t radically different from a stock FTR 1200. Finally, there’s the Tour collection which is exactly what it sounds like. 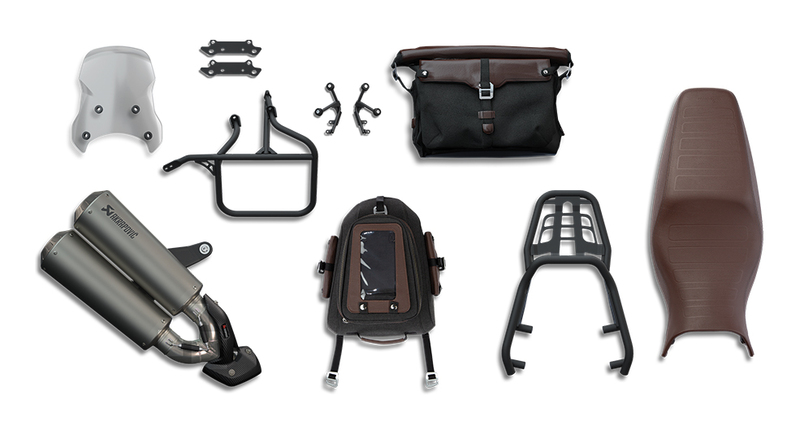 It adds a messenger bag complete with a mounting kit that looks like it’s pretty easy to take on and off of the bike. It also has a nice, big tank bag, a fairly tall windscreen, a luggage rack on the back, the same aviator seat sd in the Rally collection, and Akrapovic exhaust. 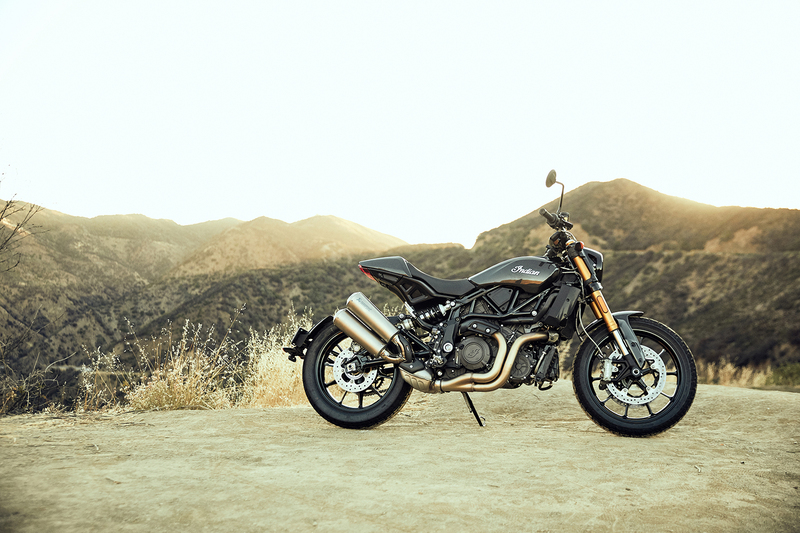 This package makes the FTR 1200 kind of an all-purpose bike that should be good for short jaunts around town, long-distance cruising, light off-roading, or anything in between. 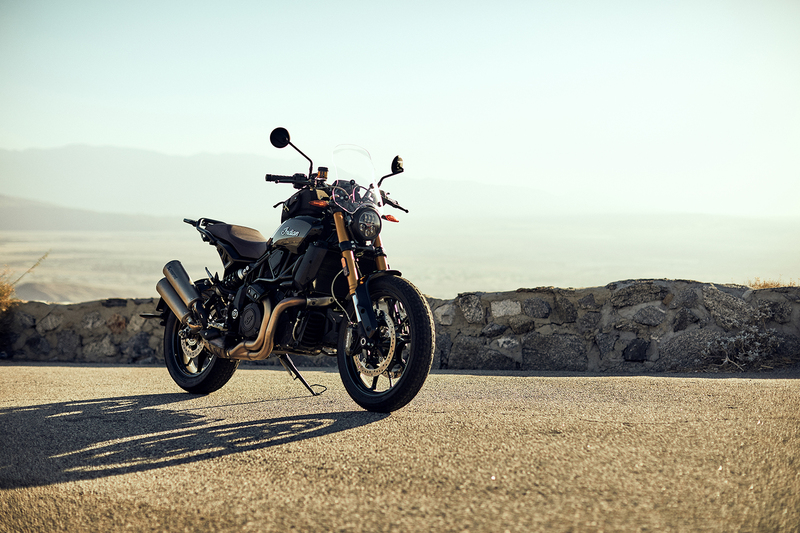 These collections might not add anything in terms of performance aside from the exhaust, but they’re pretty cool ways to add a little more personality to the FTR 1200 based on what you want to use yours for. The full catalog of accessories with pricing and everything can be found here. 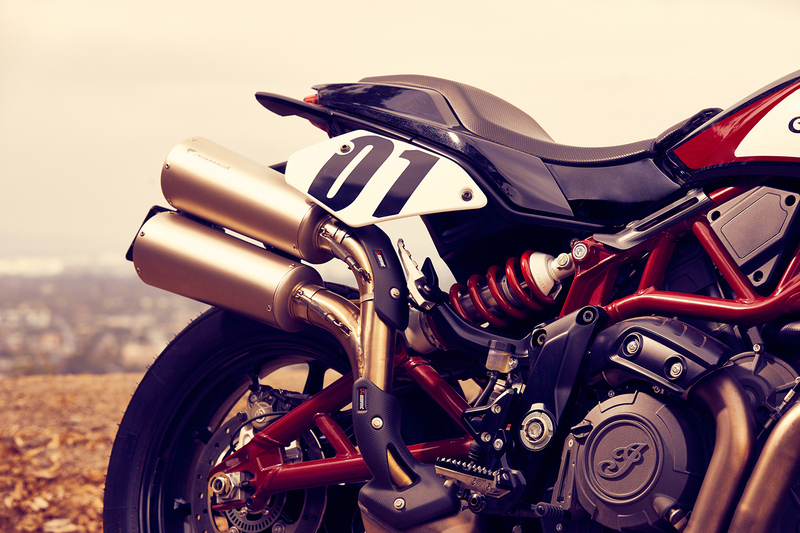 Here is the bike that could change the American motorcycle industry. 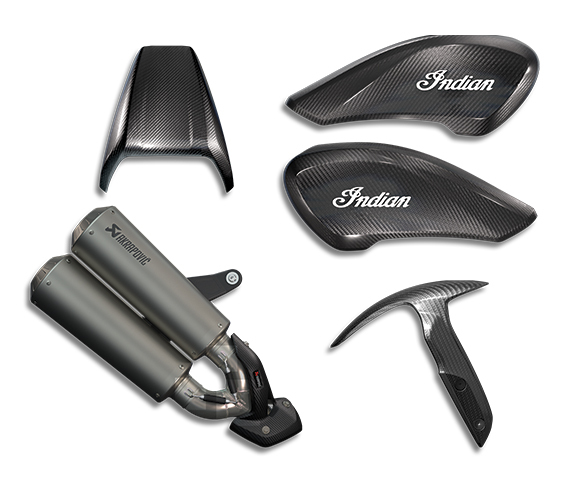 The people have spoken and Indian Motorcycle has listened. Indian continues to gain traction in a down market.